Danielle LaPorte, and Radha Agrawal. CAN’T MAKE IT IN PERSON? SIGN UP FOR THE FREE LIVESTREAM. After leading teams on billion dollar brands like Twitter and Garnier at some of the largest ad agencies across the country, Abby noticed that small businesses lacked access to the same caliber marketing resources as bigger brands, so she started Neon Butterfly to change that. Now, she offers big agency level branding and marketing on a sliding scale to those with a good idea and desire for positive social change. She’s transformed solar companies and award-winning films, and worked with everyone from Usher, Global Citizen, and celebrity efforts to end mass incarceration. Ann grew up with a thirst for creative social innovation. Combining her passions for social activism and storytelling with business savvy, she co-founded and serves as CEO of Enrou. She won the first ever $400,000 Forbes Pitch Competition, was named Forbes 30 Under 30 in 2016, and serves as the youngest member of the UCLA Alumni Board. She was listed among LA’s top CEOs to watch in 2015. Annie has always been concerned about the ingredients in commercial tampons, and frustrated with the options of organic brands, with their flimsy cardboard applicators and wrappers that came apart in the bottom of her purse. These frustrations lead her co-found Conscious Period, a tampon company that makes a product that’s both good for your health and supports sisters across the country with a give-back program. A food and culture consultant, Courtney’s entrepreneurial craftwork is behind some of your favorite plant-based eateries, including Cafe Gratitude, Sage Vegan Bistro and True North Cafe at Wanderlust Hollywood. She is co-founder of both The Sweetness of Being, a honey-sweetened dairy-free chocolate bar company and Palette restaurant - a new fast casual farm-to-table concept opening in Los Angeles this winter. 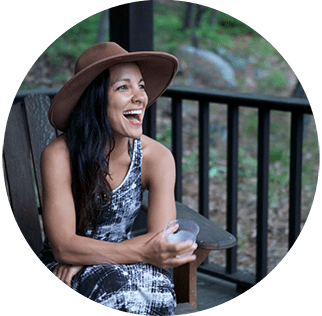 Co-founder and CEO of Health-Ade Kombucha, Daina received her MA in Nutrition and Public Health, where she honed her philosophy that real food—and health—has everything to do with one’s happiness, not just science. Now a national brand that supports the real food movement, Health-Ade got its start at the LA farmers market. Daina’s drive to make a difference speaks to the importance of the company’s tagline, Follow Your Gut. Heather Hasson is a creative serial entrepreneur, philanthropist, and co-founder of FIGS, a purpose driven brand that has transformed the way medical professionals look, feel and perform in their jobs. Heather has been donating kids’ school uniforms since she was a teenager, and founded FIGS after noticing that one of her best friends, a nurse-practitioner, was wearing poorly-designed and uncomfortable scrubs. Through its threads for threads initiative, for every set of scrubs sold FIGS gives a set to a healthcare provider in need. Jessica is the chef and owner of Sqirl, a preserves company and restaurant in Los Angeles. In 2014, she was named Eater LA’s Chef of the Year and in 2015, Eater named Sqirl the country’s best neighborhood restaurant. Jessica’s first cookbook, Everything I Want To Eat, comes out this October and next spring she’s opening a new restaurant on the LA’s Westside with an associated working farm in Malibu. Kate Northrup built a team of more than 3,000 wellness entrepreneurs in the network marketing industry and is the best-selling author of Money: A Love Story, Untangle Your Financial Woes and Create the Life You Really Want. Kate’s work has been featured by The Today Show, Yahoo! Finance, Women’s Health, Glamour, and The Huffington Post. Find out more and take her free quiz to find out what your relationship with money says about you at katenorthrup.com. Katie is the founder and CEO of Carbon38, the premier e-commerce destination for fashion forward activewear from well-known activewear designers around the globe. Voted LA’s Hottest Trainer, Katie shaped the bodies of Kelly Ripa, Sophia Vergara, and Demi Moore. She has also been the senior instructor at Physique 57, spokeswoman for Women’s Health Magazine, a dancer with the Miami City Ballet, and an analyst at Deutsche Bank in Capital Markets. Katie H. Willcox is an author, public speaker, and CEO of Natural Model Management and Healthy is the New Skinny. Using her 13 years of experience in the modeling industry, Willcox strives to change the game of body image by giving people the tools to challenge the beauty ideal implemented by the media and inspiring girls to choose their own success instead of waiting to be chosen. 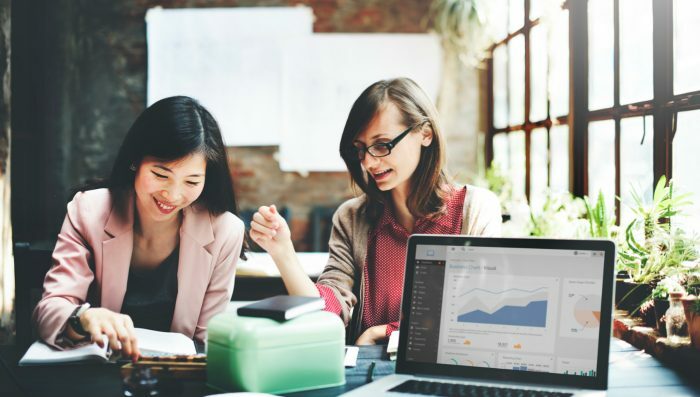 After working with a social enterprise startup and then at TOMS, Margo saw firsthand both the benefits and challenges of how these models work. After pursuing an MBA from USC Marshall, Margo deepened her understanding of how innovative business models can solve the world’s profound problems, and co-founded Conscious, purveyor of healthy organic tampons that operates with a give-back program for women in need. Maya is an Emmy-award winning Vice President Marketing for OWN: Oprah Winfrey Network. In less than six years, Maya went from intern to Vice President, making her the youngest executive at OWN at 31 years of age. President Erik Logan calls her a “rising star within the company,” and in 2015 Maya was selected by Forbes magazine as one of the Top 30 under 30 in Marketing and Advertising. After reaching a breaking point while working in the music industry, Megan turned to The Chopra Center for Wellbeing to find balance, studying with co-founders Deepak Chopra and Dr. David Simon and teachers like Marianne Williamson and Wayne Dyer. She is a certified instructor in Primordial Sound Meditation and serves as the Director of Meditation at Wanderlust Hollywood. Megan also appears at international retreats and festivals and teaches at Unplug Meditation. Michelle co-founded True&Co. to change the way women shop for bras, where she is currently CEO. True&Co. bras have revolutionized the industry by considering breast shape as well as band and cup size. Lam was the first female investor at Bain Capital Ventures, and worked at Microsoft, the Boston Consulting Group and Pricewaterhouse Coopers. She has been named one of Fast Company’s Most Creative People as well as Top 40 under 40 by the SF Business Times. Social entrepreneur Phoebe Dahl is the founder of Faircloth + Supply, a consciously aware lifestyle brand that provides access to education for marginalized girls in Nepal. Phoebe has been awarded Racked’s 30 Under 30 Rising Designers and has recently been appointed Creative Director at the fast-growing incubator for emerging brands, a.Kartel. Rachel Pally has been a staple in the LA fashion industry since 2002. By offering styles each season to women of all shapes and sizes through her contemporary, maternity, and plus-sized collections, Rachel Pally truly offers clothing for everyone, and her designs are among the favorites of Hollywood’s elite, from Sarah Jessica Parker to Oprah to Beyonce to Jessica Alba. She lives in the Hollywood Hills with her husband Kevin Circosta, their two boys Tao and Luca, and their dog Sadie. Radha Agrawal is a serial social entrepreneur. She is the co-founder of DAYBREAKER, a global morning dance movement. She is also the co-founder of THINX, a women’s apparel company that provides a sustainable underwear solution to give support, comfort, confidence, and peace of mind during their "time of the month." For every pair purchased, seven reusable cloth pads are provided to young women in Africa. Schuyler Grant founded Kula Yoga Project in NYC in 2002. Five years later she co-created the Wanderlust Festival with her husband Jeff and their best friend Sean. She currently directs the yoga program for Wanderlust, wrangles Kula Yoga Studio from afar, mothers three daughter, and struggles to find enough time to have an occasional date with her hubby. Sheri Salata is co-founder of STORY salata | hala, a creative partnership producing print, television, film, and digital content. Sheri’s new venture as an entrepreneur is the next evolution from the staff job of all staff jobs—her soul-opening, life-altering 20-year career with Oprah Winfrey. Sheri’s day-to-day as the final executive producer of The Oprah Winfrey Show were featured in the docu-series Season 25: Oprah Behind the Scenes. Founder and executive chairman of Nasty Gal—a fashion empire that grew from a simple online store in just five years—Sophia Amoruso has been named by Forbes as “Fashion’s New Phenom” and was featured on the cover of their June 2016 SELF MADE WOMEN issue. Her book, #GIRLBOSS spent 18 weeks on the New York Times best-seller list, an on-screen adaptation of which will premiere on Netflix in early 2017. Her second book, Nasty Galaxy, comes out later this year. Tina Wells is the CEO and founder of Buzz Marketing Group (BuzzMG). She authored the youth marketing handbook Chasing Youth Culture And Getting It Right and the best-selling tween series Mackenzie Blue. She’s a member of many organizations, including the Young Entrepreneur Council, and is the Academic Director of Wharton's Leadership in the Business World program. Tina's long list of honors include Essence’s 40 Under 40 and Inc’s 30 Under 30. Tracy Silver is the co-founder and CEO of YOGAMAZÉ, one of the top yoga schools in the world. Today Tracy's mission is to further and deepen the careers of YOGAMAZÉ students, teachers, and employees, and to spread yoga to new regions of the world, inspiring change one down dog at a time. Trina Spear is a disruptive entrepreneur, chief fund-raiser, and Harvard MBA. After working on Wall Street she co-founded FIGS, on a mission to elevate the healthcare experience. FIGS is revolutionizing the antiquated $10 billion medical apparel industry through its use of ridiculously soft and technical fabrics that are tailored to perfection. FIGS has transformed the way medical professionals look, feel and perform in their jobs. Vy Le is the founder and CEO of a.Kartel, a strategic branding and operations company that incubates small to medium size businesses which include; Faircloth & Supply, Hiro Clark, Conscious Period, Casa Bosques, Yoga Vida, SIP and Urban Hemp Farms. She provides strategic direction, in a variety of C-level roles for companies like The Standard Hotel, Verve Coffee and Gran Ciudad in Mexico City. Prior to starting a.Kartel, she was the CEO for Rudy's Barbershop (part of the Ace Hotel family). AWE is more than just a conference: As leaders in the mindful community, we feel it’s important to have honest conversations that unite women revolutionizing the entrepreneurial space. These conversations are what allow for paradigm shifts in the modern business world, and also what inspire meaningful change for generations to come. Never before has the dialogue around female entrepreneurship been more critical. As women lean in, they are re-writing the rules on corporate culture and social enterprise. This intimate conference will include discussions on topics including how to generate start-up capital, how to build mission-led companies, how to negotiate salaries, how to build an amazing corporate culture as a woman and for women, and more. Want to know more about the life of a mindful entrepreneur? Check out our article series. When it comes to entrepreneurship, it’s not a man’s world. You have an awesome idea and are ready to take the plunge as a female business-owner. Now what? Prioritizing is a necessary practice of self-love, as is taking a much needed break.